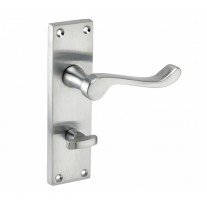 Satin chrome door handles mounted on backplate with standard lock hole are for use on all internal doors that need a locking type handle on backplate. 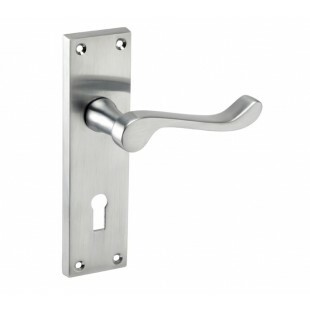 Whether it be your home office you’re securing, bedroom or any other room where privacy is needed then satin chrome finished backplate door handles with standard lock hole are just the handles for you. 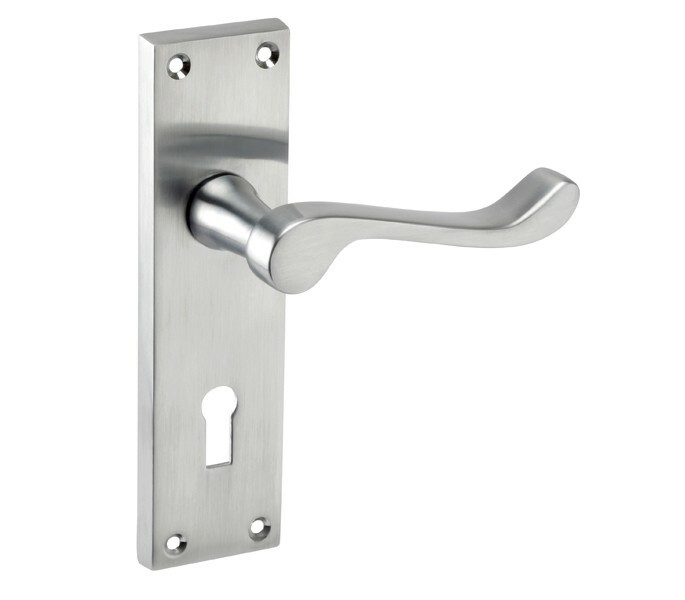 For fitting with a mortice lock the satin chrome door handles are a sprung handle, featuring an ornate and traditional scroll designed lever that is well-liked and suited to both contemporary and traditional homes and properties. 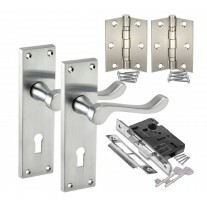 1 set of satin chrome door handles with scroll lever includes 2 handles on backplate, one for each side of the door along with screw fixings and spindles. 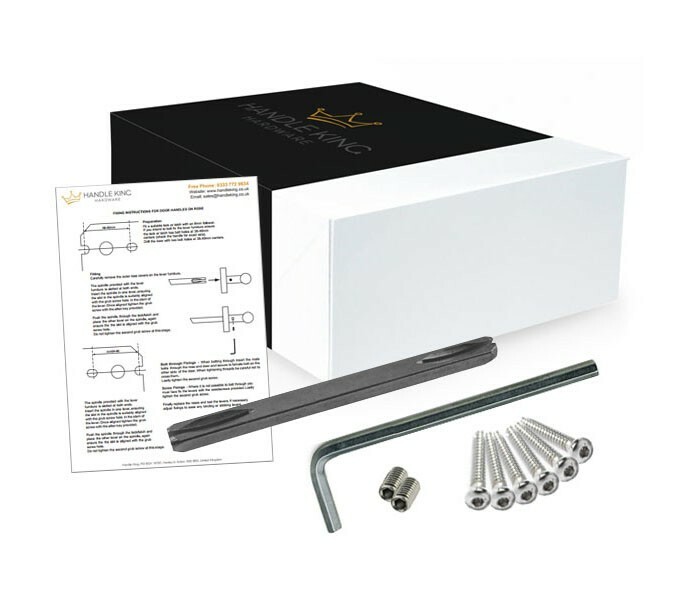 If purchasing for a new door you will also need a mortice lock and hinges which can be purchased separately. 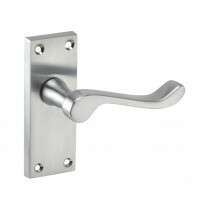 Great quality and fantastic value for money, chrome door handles on backplate with scroll lever are fantastic quality and great value for money. 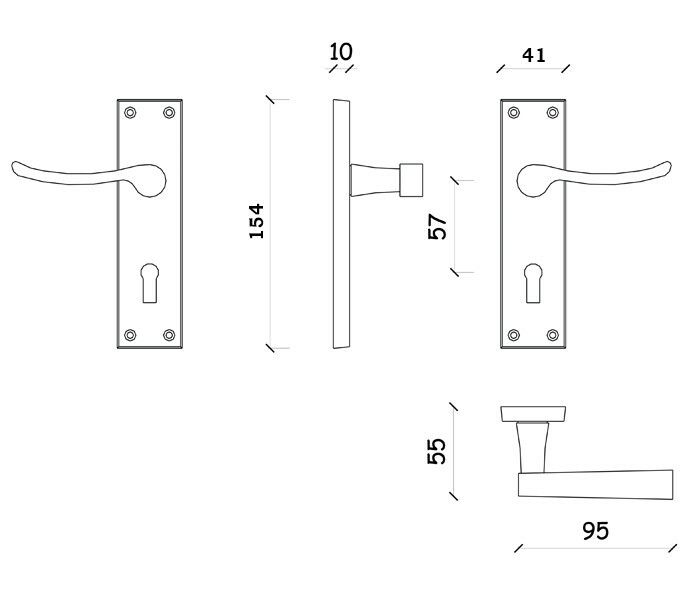 Overall handle length 95mm with 154mm x 41mm x 10mm backplate. Just select how many sets you need and add to cart.